An easy way to get more exercise is:The correct answer is all of the above. When it comes to being more active, every movement counts. Wear a pedometer and make it a goal to take 10,000 steps a day. Get up and stretch when you're talking on the phone, walk over to talk with coworkers instead of sending email, and always take the stairs.Things you should do before starting an exercise program are:The correct answer is all of the above. 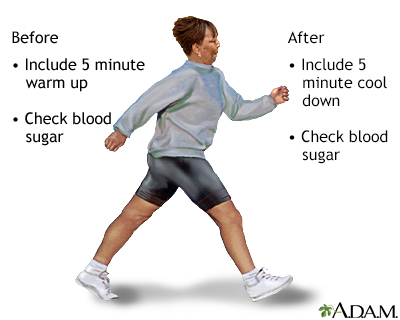 Getting more exercise is a great idea to manage your type 2 diabetes. 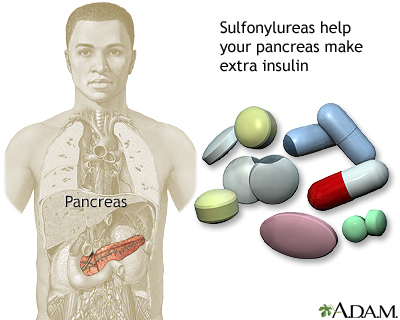 First have your health care provider check out your heart, eyes, feet, and blood sugar. Ask about when you need to check your blood sugar when you exercise.If you're overweight, losing just a few pounds can help improve your diabetes.The correct answer is true. If you're overweight, losing about 7% of your total body weight can help lower your risk for heart disease. If you weigh 200 pounds, that's only 14 pounds. 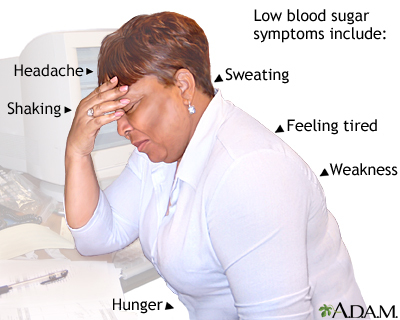 Losing weight also may make it easier to control your blood sugar. 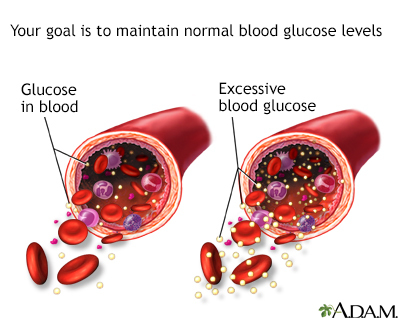 Talk with your doctor or diabetes educator about simple changes that can help you lose weight.All carbohydrates, including sugars and starches, will raise blood sugar.The correct answer is true. 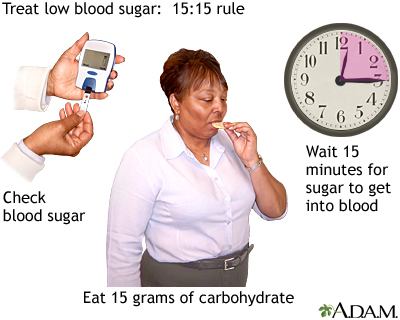 All carbohydrates raise blood sugar, so you should keep track of how many you eat every day. The best choices come from beans and legumes, fruits and vegetables, and whole grains. Avoid sugary and processed foods. Ask your diabetes educator how to track the carbs you eat every day.The best source of protein for someone is diabetes is:The correct answer is fish. Eating at least two servings of fish a week may improve triglycerides and may also help lower the risks for heart problems. Choose oily fish such as salmon, mackerel, or sardines, which are high in omega-3 fatty acids. Skinless chicken and turkey, soy, and lean cuts of meat are also healthy choices.People with type 2 diabetes don't need to check their blood sugar at home.The correct answer is false. 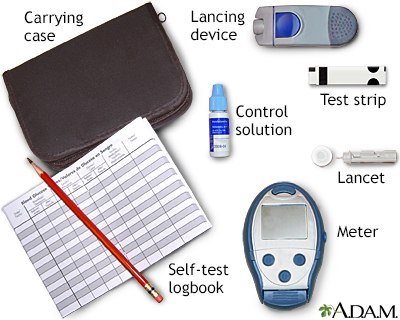 Checking your blood sugar levels at home will tell you how well you are managing your diabetes. 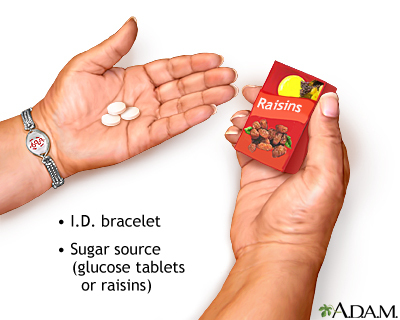 Most people with type 2 diabetes only need to check their blood sugar once or twice a day. If your blood sugar levels are under control, you may only to check them a few times a week.Which food contains the healthiest fats?The correct answer is A and B. Avocados, nuts, and olive, canola, and peanut oils contain monounsaturated fat, which is good for your heart. Omega-3 fats found in fish, shellfish, flaxseeds, and walnuts are also heart healthy. These should be your first choice for fats. If buying margarine, look for trans-fat free brands.When you check your feet, you should look for:The correct answer is all of the above. Check your feet every day. Inspect the top, sides, soles, heels, and between the toes. Call your doctor or podiatrist right way about any foot problems. Don't try to treat them yourself first. Even small sores or blisters can become big problems if infection develops or they don't heal.Which type of footwear should a person with diabetes avoid?The correct answer is A, B, and C. Flip flops leave your feet exposed to possible cuts and bruises. High heels and socks with seams or holes can cause pressure points on your feet. Sneakers or any close-toed, comfortable shoes that fit well are the best choice to protect your feet.Which will treat low blood sugar?The correct answer is all of the above. 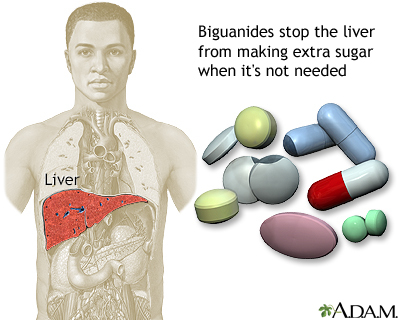 If your blood sugar is below 70 mg/dL, take 15 grams of carbohydrate right away -- but no more than this. The examples above contain 15 grams. 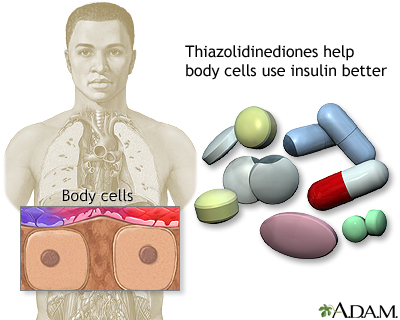 If you don't feel better in 15 minutes, and your blood sugar stays low, take another 15 grams. If that doesn't work, call your doctor right away. A person with type 2 diabetes can use exercise to help control their blood sugar levels and provide energy their muscles need to function throughout the day. 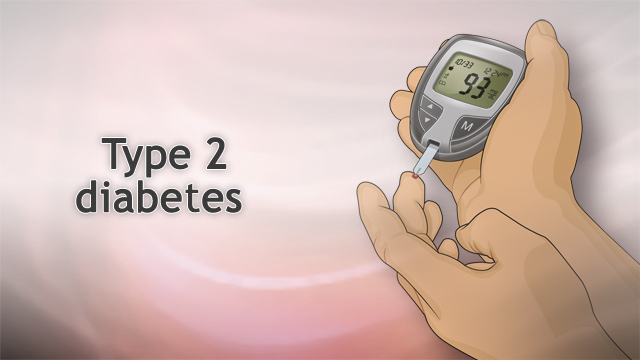 By maintaining a healthy diet and sufficient exercise, a person with type 2 diabetes may be able to keep their blood sugar in the normal non-diabetic range without medication. 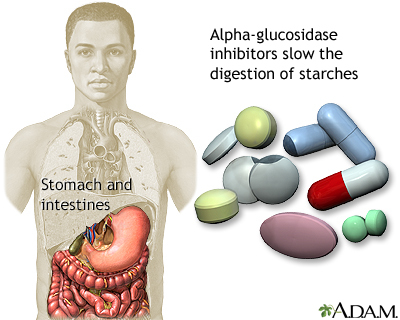 All food that you eat turns to sugar in your body. 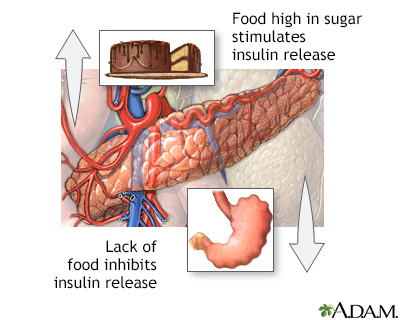 Carbohydrate-containing foods alter your sugar levels more than any other type of food. 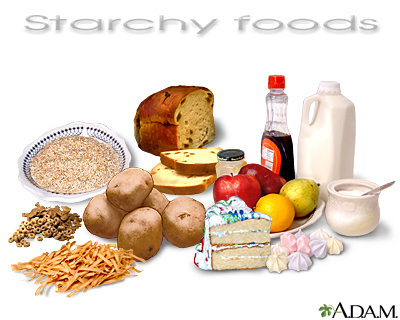 Carbohydrates are found in starchy or sugary foods, such as bread, rice, pasta, cereal, potatoes, corn, fruit, fruit juice, cookies, candy, soda, and other sweets. Other possible sources include peas, milk, and yogurt.